Folders 14-17 in sub-Collection 1.1.8.1 „List Material Flossenbürg“ contain copies of CC Flossenbürg´s Prisoner´s number registry. 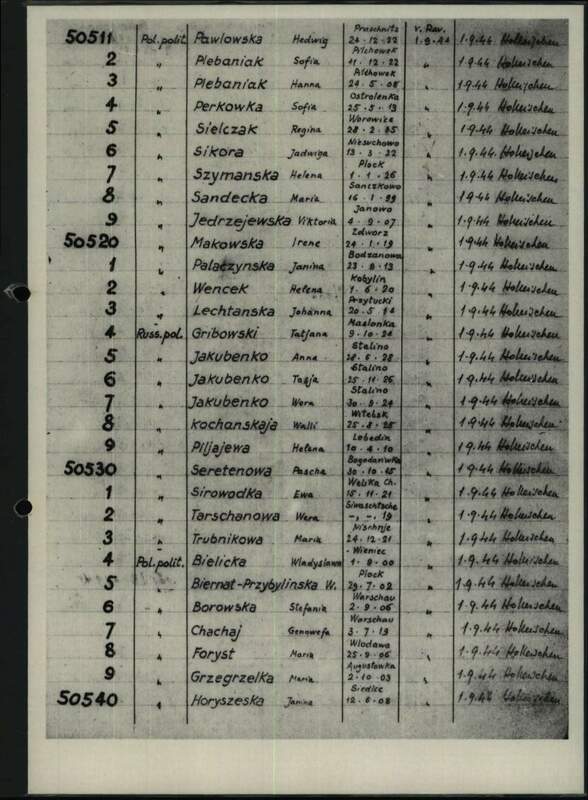 The volumes comprising these 4 folders list female prisoners imprisoned in the camp in 1944. 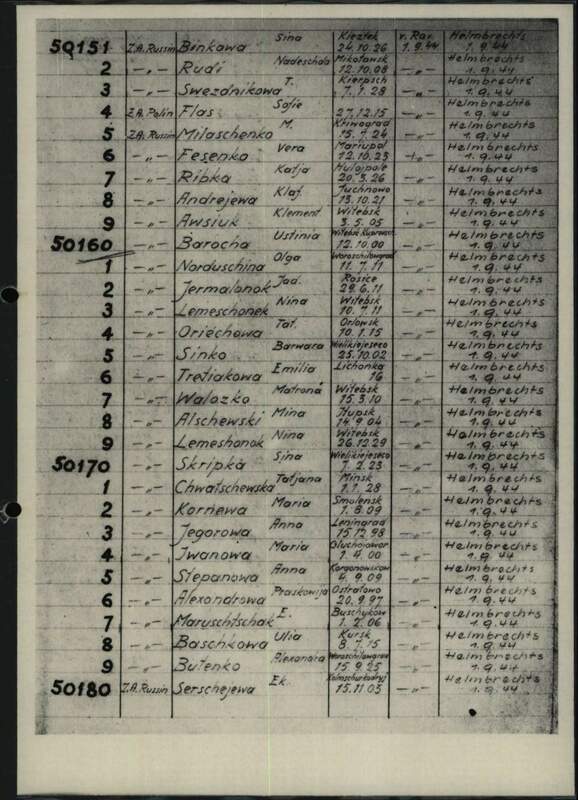 Each prisoner record consists of Flossenbürg prisoner number given to the prisoner, her nationality or “prisoner category”, her name, date of birth as well as the camp from which the prisoner arrived, and the sub camp to which she was assigned. Date of death as well as birth place are sometimes registered as well. Table 02 "reason of imprisonment"